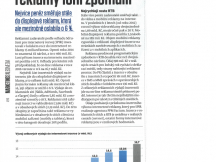 Internet advertising growth has slowed down in the Czech Republic last year. And in ppm factum we knew about it first. 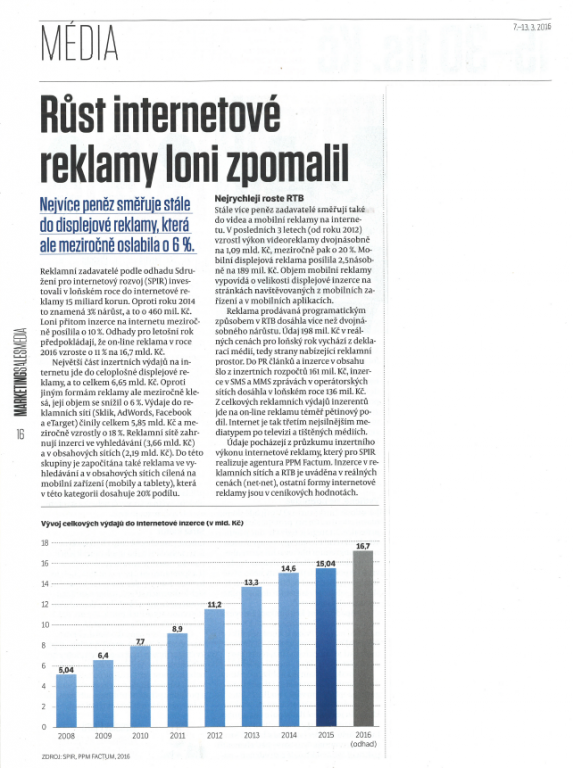 ppm factum traditionally in cooperation with the Association for Internet Development (SPIR) in early 2016 organized a survey of online advertising performance. The key role of ppm factum was to guarantee all contributors who provided the sensitive data the complete anonymity. The outcome, which received the professional community, but even SPIR team itself are only aggregated data that have been calculated based on a predetermined methodology.